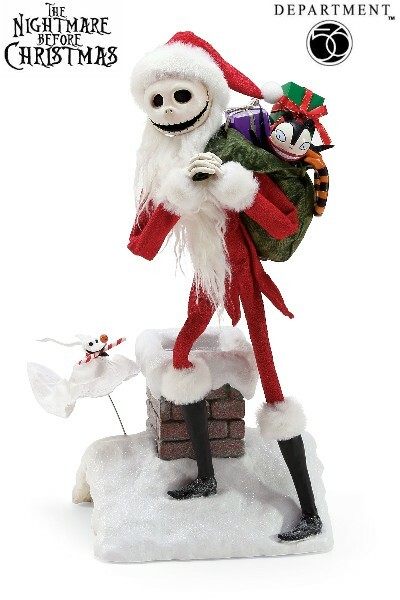 Department 56 The Nightmare Before Christmas LICPD Jack and Zero Deliveries Figure. 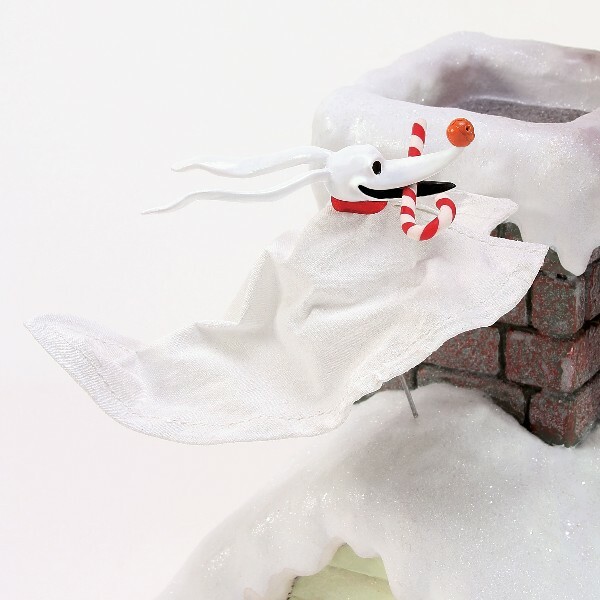 Possible Dreams is pleased to present this scene from The Nightmare Before Christmas in mixed media including Clothtique fabric, fur, resin and ribbon. Zero's nose will glow in the dark. Handcrafted from high-quality, hand-painted clothtique, a proprietary stiffened fabric material with mixed media accents. The Dimensions of this Figure are 15 Inches Tall by 7.5 Inches Wide by 9 Inches Long. Note: This Figure Arrived to us Brand New and Factory Sealed.